It is 1944: Daniel, a soldier, legendary among the Norwegians fighting the advance of Bolshevism on the Russian front, is killed. Two years later, a wounded soldier wakes up in a Vienna hospital. He becomes involved with a young nurse, the consequences of which will ripple forward to the turn of the next century. 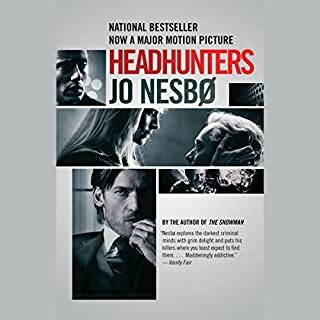 In 1999, Harry Hole, alone again after having caused an embarrassment in the line of duty, has been promoted to inspector and is lumbered with surveillance duties. He is assigned the task of monitoring neo-Nazi activities; fairly mundane until a report of a rare and unusual gun being fired sparks his interest. Ellen Gjelten, his partner, makes a startling discovery. Then a former soldier is found with his throat cut. In a quest that takes him to South Africa and Vienna, Harry finds himself perpetually one step behind the killer. He will be both winner and loser by the novel’s nail-biting conclusion. If you're like me then you found this book because you read the Snowman, loved it, and decided to read the whole series. And then, like me, this review is meaningless to you. You will buy it, without finishing the review, you will listen to it. You will love it. And then you'll buy the next one. So let me validate that decision. Do it. Buy the book. Buy the series. You'll LOVE it. There, glad that's over with. 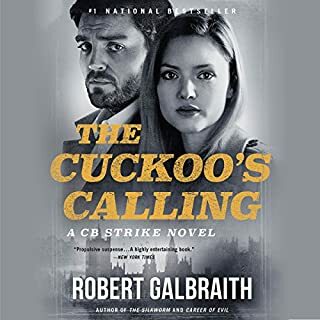 The rest of you, then, have not read any of the Harry Hole series and have found that while there were two written before the Redbreast, this is the first on Audible. So you're wondering if, given the series' incomplete nature, it's worth reading. I'm glad you asked! YES, YES, YES, YES. It's worth it. This is an amazing series that only gets better with time. In essence, the series is about a middle aged detective named Harry Hole who is lonely, sad and a recovering alcoholic. Not many people like him, but - as you would expect from a detective series - he's wonderful at his job. He better be, he has nothing else in his life. This book finds him involved with neo-natzis, brutal murders and a sad history with Norwegian solders who fought on the wrong side in WWII. 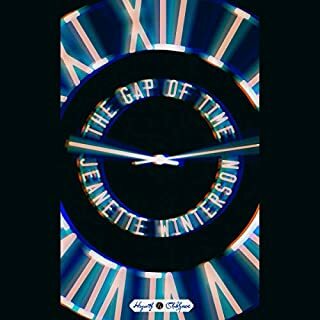 We bounce through time as a tale of dispair and modern day aggression takes hold of your throat. And it doesn't let go. As I said when i reviewed the Snowman. This series doesn't try and re-invent the wheel (a brilliant but disturbed detective, a series of murders, an investigation in the proverbial heart of darkness). You've seen this stuff before. 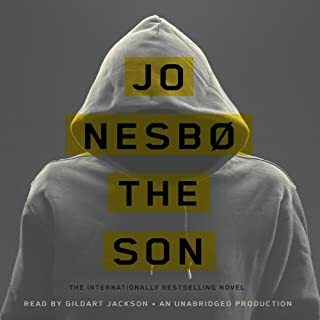 What Jo Nesbo does is take these cliches and does them better, with more intelligence and more humanity and more depth than you've ever seen before. It's a wonderful series. And it begins here. So you might as well get started. Excellent book - although the names and town names are very confusing to an American like me. Very John Le Carre'ish. Patient, layered, info in bits and pieces Book jumps around from WWII to the 1999-2000. Not as dark as I thought it would be. Nesbo is going on my list of authors to read more of. And the narration by Robin Sachs was excellent. Probably best if listened to in long sections for continuity. This book takes almost seventeen hours to listen to. It seemed much more like ten. Usually that is a result of nonstop action or riveting suspense. Instead Nesbo does it with bravura writing, by inexorably drawing us into a complex world, a fascinating character, a perplexing mystery, and making it almost impossible to look away. 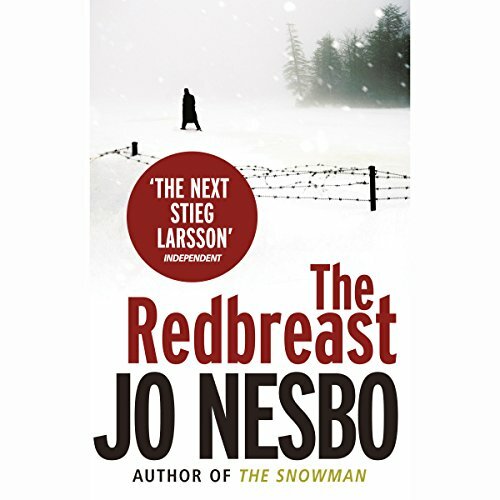 His pace is slow and steady, and the momentum toward confrontation does not begin to build until quite late in the book, but along the way the author constructs a web of history and relationship along with a structure of clues which keeps us fully engaged with Harry Hole and his obsession with finding the truth. If I were going to compare Nesbo's writing with that of another master, it would be John LeCarre. He knows how to make seemingly nondescript details and low key encounters accumulate until they have terrific power and significance. The translator deserves major credit for this edition as well since the use of language is transparent and always effective. Finally, someone found the perfect reader for the world Nesbo has created. Robin Sachs' smoky, matter of fact, world weary rendering of the story could not be improved upon. I felt as though I were listening to the story across a beer stained table in the back of a very local hangout in Oslo. This book is the third in the series. I will definitely be going back to the beginning and enjoying the process of getting to know Harry Hole from the start. Robin Sachs gives an outstanding reading to three of Nesbo's novels. Listen to this before Devil's Star and the Snowman. "Redbreast" should be the first. Skip the non-Sachs reading of "Nemesis" and go to "Devil's Star" second and then the Snowman. You will listen to all three if you listen to this. Sachs makes Harry Hole manifest more clearly than the book does. Addicting and great stuff. Set in Oslo and referencing Oslo's neo-nazis and gun-runners in its narrative. great mystery. well written, everything ties up nicely and the red herrings are well done. Robin Sachs is by far the best reader of the Nesbo books. Not for the squeamish, but thought this was top drawer of the Nesbo offerings on audible so far. What made the experience of listening to The Redbreast the most enjoyable? Robin Sachs. He is nothing short of brilliant. 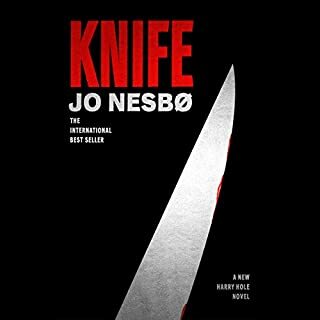 This may be the only novel in the series that is necessary to understanding Harry Hole. This is because it introduces Raquel and Oleg into Harry's life. I have listened to all of his work on the Hole novels. While Redbreast is a bit tedious at first, particularly in the WWII scenes, Sachs clearly nails it. No. It is an important book in the series, because of Raquel and it is another triumph in Hole's legacy as a brilliant investigator. However, the backstory set in in WW2 is longwinded and tedious. Yet it is critically important to the story. This is a really exciting crime novel. I think the audio format was especially good for this book. The plot jumps around in time a bit. Chapter one happens before the next several chapters, and so on. Listening, instead of reading, heightened the sense of suspense. 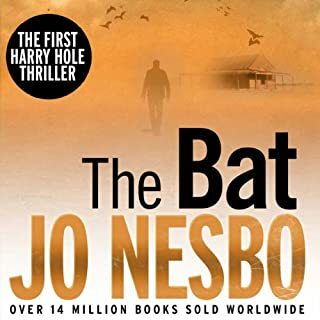 This was an excellent Harry Hole story that is laced with neoNazism of current day Norway and the real Nazism of WWII. The book provides a hard look at the actions of Norway citizens and royalty during that era. The mystery is always intriguing in a Jo Nesbo offering. I highly recommend it. This is one of those complex type of thrillers, that you have to listen to every word closely to know what is going on. When they say it's the next Stieg Larson, that's is a very good comparison, as the characters are Norweigen, Austrian,with a good helping of Nazi's. The modern story and the background from the 1940's jump back and forth from chapter to chapter, with an abundance of characters to keep track of. It's a good story and an interesting one, but I have to say that I did a better job of understanding what was going on, when I switched over to my kindle and read the last half. The narrator did a fine job though. It is just easier to comprehend all the time jumps when I can see it in print. (that's just me) There must be a book or two before this one however, because of some reference to Harry's past experiences that are never clarified in this book, but it doesn't ruin anything, just makes you wonder at times what they are referring to. All and all it's a good book, and I'll probably read the next of the series. Layer upon Layer of Story. A more masculine story switching from the modern neo-Nazi crime story to the WWII Norwegian soldiers in the trenches fighting on the German side. This is at the core a very Norwegian story of betrayal, traitors, & survival during the Nazi invasion of Norway. Layered upon the world scene of 1944 and 1999 and later are very personal stories. It is not chases down alleys nor car chases but it has exploding grenades & is thought provoking. I found it difficult to keep the multitude of characters straight but cared about tying all the story threads together. The writing made it worth the trouble. The narrator was great, brought the story to life.